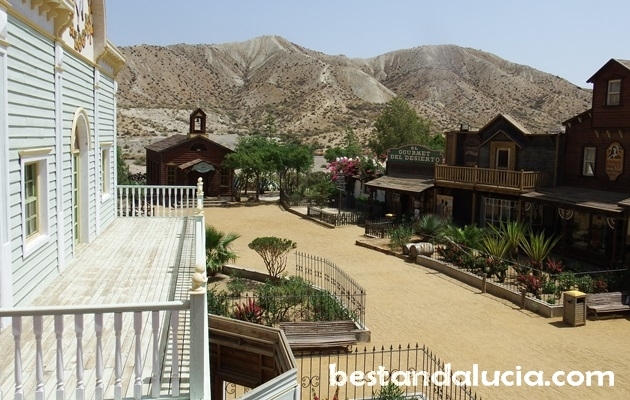 Oasys Mini Hollywood is a Wild West town theme park, one of the three Western desert parks located near Almeria. 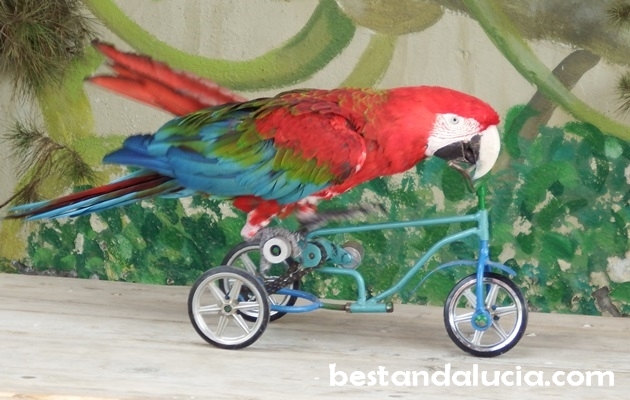 The entry price is 22 Euros for an adult and in our opinion it represent best value for money. What makes a difference between Oasys and the other two nearby studios, Fort Bravo and Western Leone, is that the visit to the large zoo which is also included in the price of the Wild West ticket! As you start exploring the authentic looking western town with a stunning mountain backdrop, you can have a closer look at the 18th century houses or pop into the local bank, church, various shops or even local cemetery at the town’s outskirts. It’s all very atmospheric and instantly takes you back in time whether you want it or not! You can also buy one of the many souvenirs or head to the town square to take a photo on the horse next to a friendly cowboy. There is plenty of attractions and fun all around the place! The main attractions, which always draw crowds, are live shows, both played twice a day: a pleasant to the eye can-can show staged in the Western-style saloon and a bank robbery show featuring gunfights and some chilling cowboy-style fist fights. The famous Tabernas desert, in the middle of which the Oasis Mini-Hollywood is located, was once a favourite location for many film makers. 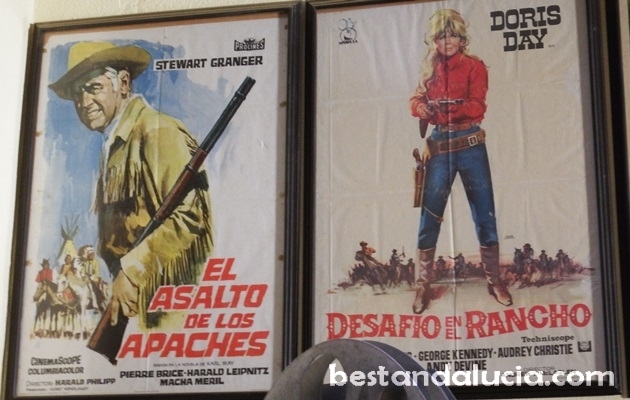 In 1960s and 1970s, in the golden era of the European Westerns, many film producers preferred to shoot their films in the Spanish desert instead of going to the distant America or Africa. That’s because Almeria’s desert bears lots of resemblance to the stereotypical image of the Wild West. Three studios were created at that time: Texas Hollywood, Mini Hollywood, and Western Leone. The Italian film producer, Sergio Leone, shot “A Fistful of Dollars” as well as “The Good, or the Bad and the Ugly”, both starring Clint Eastwood, on the Tabernas desert. The Tabernas desert is occasionally used today for some smaller productions. 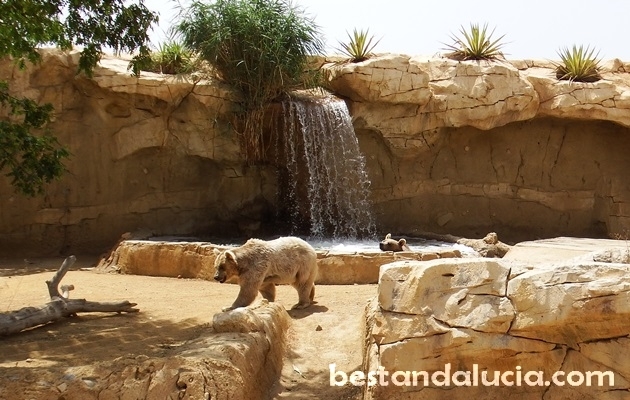 If seeing all the attractions in the western villages took you more than half a day, the rest of the day needs to be reserved for the unique zoo which is also part of the Oasys Park. You will find there lots of species which you won’t find in many zoos. There is a white tiger, lions, Iberian bear and many more. The enclosures for animals are very spacious and ingeniously made. Also, in the summer season the swimming pool complex is opened allowing you take off the heat quickly.